The Ministry of Road Transport and Highways has allowed the use of the soft copies of driving license, registration certificate and other relevant papers as valid documents under the Motor Vehicles Act, 1998.
and show it to inquiring authorities legally. 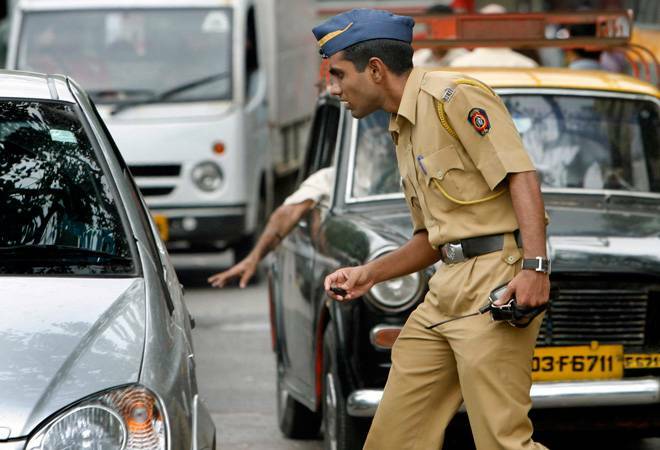 "The Ministry of Road Transport and Highways (MoRTH) has issued an advisory to states to accept Driving Licence, Registration Certificate or other documents in 'electronic form' presented through DigiLocker or mParivahan platform as valid under the Motor Vehicles Act, 1988 and treat them at par with the certificates issued by the transport authorities," according to the ministry's statement. 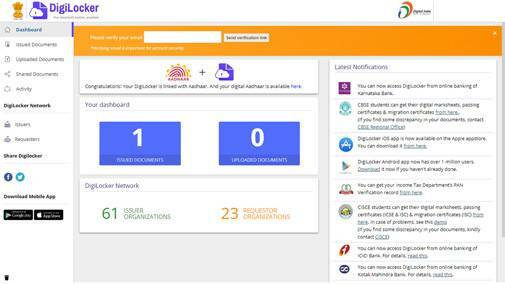 For now, we will take up DigiLocker as our platform of choice and demonstrate how to use it. 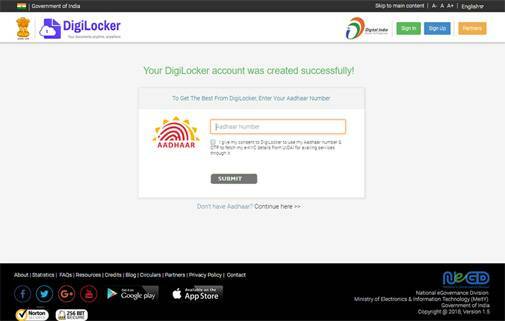 Your DigiLocker account has been set up. 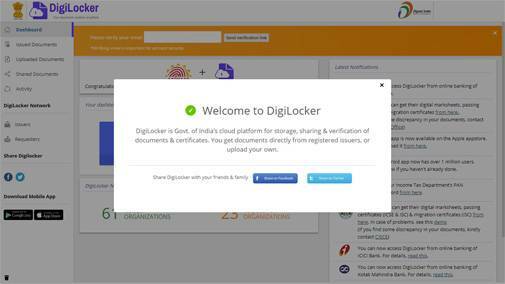 How to get your documents in DigiLocker? On the following page, in accordance to the documents you need, you'll have to enter details like license number, name, vehicle registration number, chassis number etc. Regarding cases of offence when there is a requirement of the documents to be impounded, the enforcement agencies can have such impounding reflected in the VAHAN/SARATHI database electronically through the eChallan system.